Niantic is kicking off a Lunar New Year event in Pokemon GO beginning today and offering quite a few bonuses for catching certain Pokemon. 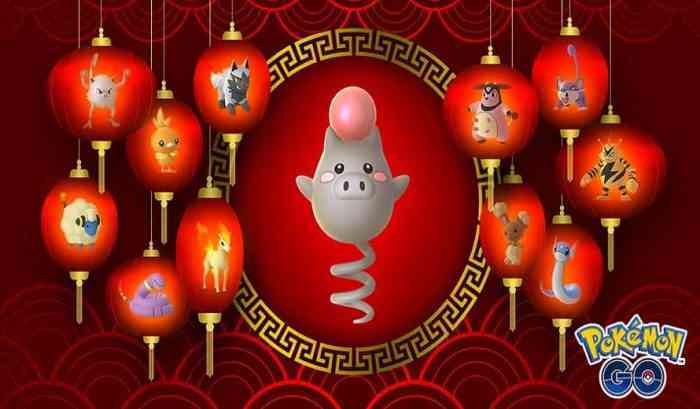 Pokemon representing each of the Chinese Zodiac – Rattata, Ekans, Mankey, Ponyta, Electabuzz, Dratini, Mareep, Miltank, Torchic, Poochyena, Spoink, and Buneary – will receive increased spawn rates, and lucky players may come across a Shiny Spoink. All catches and evolutions will net players double experience, and traded Pokemon will have an increased chance to become a Lucky Pokemon. The event runs until February 13th at 1pm PST (4pm EST). A few days after that will be February’s Community Day event. Let us know if you’ll be trying to catch some Lucky Pokemon in the comments!